At the start of 2019, the discrepancy in funding and coverage, and the impact of this on sports participation is once again on the agenda for sports associations nationwide. With many sports suffering from decades of underfunding, the women’s game attitudes are now changing to try to draw in not only young and ambitious players, but also supporters and fans. Here are some of the key initiatives. In 2018, there’s been a £1.5m funding boost available for grass roots football clubs. This initiative is provided as part of the Grow the Game programme. This year, the programme is encouraging applications from clubs wanting to focus on starting or growing existing female or disabled teams. This shows that there is more funding opportunities for women at grass roots level. Alongside this, there are also specific male grassroots team funding. The chances of female teams getting funding is rising, yet the gap in funding and funding opportunities remains significant between genders. 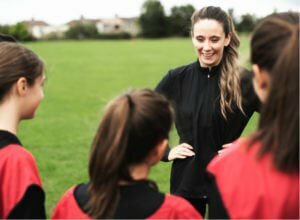 In 2017. the Football Foundation invested in an impressive 10,016 female footballers, yet this is compared to the 18,941 male footballers that also received investment. More senior funding is also on the increase. This year, UEFA promised a 50% funding increase for women’s football, which means an extra £2.4m a year going to women’s football. Alongside this, football’s governing body, FIFA, has announced their strategy to double women’s participation in football to 60 million by 2026. 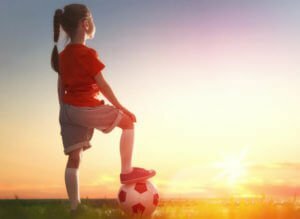 Most notably, perhaps, are comments made by UEFA president Aleksander Ceferin who stated that “the potential of women’s football is endless.” This shows that attitudes are changing, and in turn, so is the sport. The #whatif campaign has also played a fantastic role in promoting the notion that women’s sport is amazing, but how great it would be if it was treated equally to its male counterpart. It is great to see changes being implemented from the top, and this is impacting the entire sport. One example is the number of fans that supported the women’s football team at the European championships. 4 million watched England play the Netherlands in the semi-finals, while 178 million tuned in to watch throughout the championship. Women’s rugby only turned professional in 2011, and so it is pleasing to see how much the sport has evolved in such a short amount of time. This shows that the investment of effort, time and money are able to significantly change the sport. England Rugby launched a women and girl’s action plan in 2017 which targeted the next four years. This put in place a strategic plan and funding agreement with sport England. Since 2013, the number of women and girls playing contact rugby has increased by over 10,000, resulting in 300 rugby clubs providing opportunities to over 25,000 female players per season. Additionally, the WRU launched a campaign in 2015 to attract young female players to the grassroots game. In just 3 years, the number exploded from 170 to 10,000 throughout Wales. The WRU once again put the emphasis on changing the perceptions of the sport. 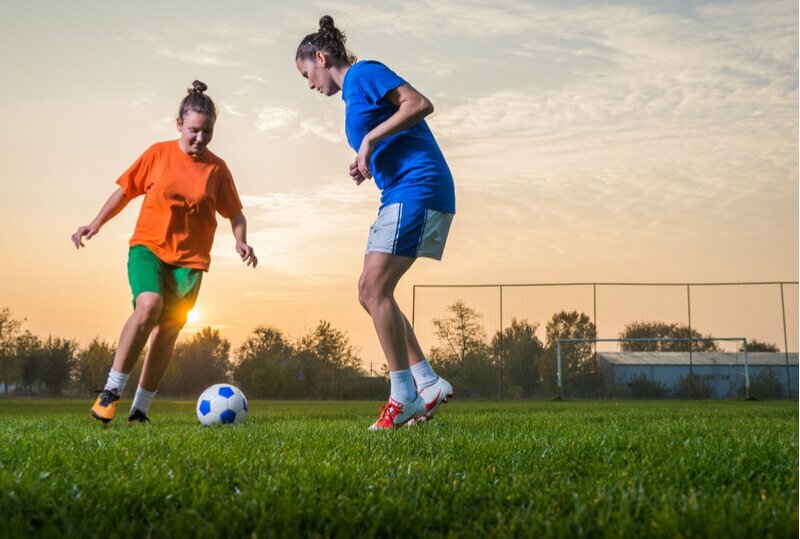 Fortunately, respect for female players has grown significantly, which is said to have played a large part in attracting more players to the sport. Reassuringly the increase in female participation is not restricted to the UK. Since 2013 there has been a 60% increase in female participation, and female players now make up a quarter of international rugby participants. Of course, this is still a minority. However, the difference in the numbers and the impressive rate in which the sport has changed is a promising sign. Furthermore, it is great to see developments in the wider areas of the sport. This year Sara Cox made history by becoming the first female referee to officiate a Premiership Rugby match. Rugby is encouraging and accommodating female participation in all avenues which ignites positive prospects for the future. The sport is now securing serious funding. Shane ross, the Minister for Transport, Tourism and Sport revealed this year that the Irish Women’s hockey team, along with other Irish high performance sports, will receive funding of €1.75m. He added that he was “committed to ensuring that Team Ireland will have every possible support on the road to Tokyo 2020”. In addition to this, Team GB funding is also increasing. In Beijing in 2008, the team had £9,882,000, the funding for Tokyo 2020 is currently targeted at £17,125,320. Alongside securing funding, evidence that women’s hockey is excelling is team GB’s performance in Rio 2016. The British Women’s team brought home gold after beating defending champion, The Netherlands. Women’s hockey is therefore perhaps a perfect example of what a sport can be when funding and time is invested in developing it. As we are over a century into the female sport, maybe this is what we can look forward to in the future of other female sports. Netball is a unique sport in the fact that it has remained an almost entirely female sport. The sport evolved from women’s basketball, and the game we know and play today was established in 1895. However, it was only in 1995 that the sport was introduced to the Olympic Committee. In turn, the committee’s objectives were to ensure that the sport kept its statues and remained in the Olympics. Since then, the game has been developed into different versions to cater or different audiences. A faster version of the game arrived in 2008, this then developed into Fast5 in 2012. So, what can we learn from the female dominated sport? Well, the International Netball Federation places an emphasis on empowerment. This is fully engrained in the sport throughout the world and this is something that has greatly benefited women not just in sport, but in other areas. The INF puts effort into providing great role models for young women, as well as development programmes to empower young women. The INF grant scheme also has the philosophy, “local drive… global impact”, which shows just how important the development of netball internationally is. It seems that efforts to help netball are efforts to help women, and vice versa. This is a fantastic example of women in sport helping both women and sport. Skiing comes in so many forms that it can appeal to numerous different people for various reasons. Skiing can take the form of alpine, freestyle, ski jump, free skiing, cross country and so on. All these styles require different attributes and skill sets, meaning that there is a style for all. However, certain styles do attract far more men than women. The Ski Club of Great Britain reported that 66% of skiers are men and only 34% are women, with styles such as heli skiing significantly lacking female participants. However, the world of skiing is changing. The Norwegian Ski Federation has launched an effort to encourage female’s participation in ski jumping and Nordic skiing, two forms that are typically less popular amongst women. In addition to this, gold medal Olympian Lindsey Vonn has repeatedly requested to take on male competitors. Currently, this is not something that is possible under the International Ski Federation. However, as mentioned above, skiing is not a sport that is necessarily better suited to one gender. Men are consistently faster in downhill skiing, though in all other forms of the sport there is not a clear leader. Therefore, development in this area may very well lead to skiing being the first sport in which individual men and women could compete for the same prize. “People often view adventure sports as the realm of men with an excess of bravado who dive head first into danger. It’s increasingly clear that success in adventure sports actually requires a range of deeper personal attributes, an important one being the emotional intelligence to deal with both your own and your teammates’ responses to adverse conditions. Tennis has for a long time been regarded the most gender-neutral sport. In 2012 it became the first sport in which women could take part in all categories. In addition to this, Serena Williams is the only female to be named on the Forbes top 100 highest paid athletes list, coming in at number 51. What does this indicate? It shows that Serena Williams is arguably the most successful women’s athlete of all time, coming far above numerous male athletes from multiple sports. However, Williams is the only woman on this list, signifying that 99 out of the 100 highest paid athletes are men, with the highest male earning £50m more than the highest female. This is certainly a pay gap that can’t be ignored. This is something that is certainly a long way from many other sports, as well as the state of sporting achievement a decade or two ago. Moreover, female participation in sport is going up at a rapid pace. Unfortunately, though, there is still a significant gap in participation throughout most sports. In the UK, by the age of 14, only 10% of girls are participating in enough sport to benefit their health. This is why Scotland has started the Sporting Equality Fund to reduce the gap between the 71% of boys and 51% of girls participating in sport in their teenage years. Gemma Kane from Brazilian Jiujitsu Girls adds: “In 2018 we have seen a huge rise in female participants and competitors of Brazilian Jiujitsu (BJJ) and this is a trend we expect to see grow in 2019. More specifically we have seen a rise of older women (Masters 30+) starting the sport for the very first time and signing up to competitions. Joanna at taylorwells.com.au – a pricing business that helps many women gain management roles in traditionally male dominated industries – points out that female sport is now seen as a real plus in the corporate world. Whereas ex male sports stars could get a good corporate job after a rugby career for example – now womens sports is seen as a real plus on a CV. Aodhan at waster.com.au – a waste and recycling business is investing in sponsoring local female sport this year – as it appeals to a very wide audience – and shows potential customers that you are a company that values womens contribution. Finally, we can see that funding and money in general is going into women’s sport. This is really helping to boost female participation and change perceptions. We have also seen changes to the money that female athletes are receiving. The average prize money for men and women in tennis is equal at £1,452,022. This is now the case for 83% of sports, according to The Telegraph. Yet, as discussed above, earnings and prize winnings in general are still heavily swayed towards men receiving more. Therefore, women’s sport has changed for the better and with increasing funding, acceptance, interest and participation, it is only going to improve. However, this is the point; female sport of all types still needs improvement, while the women in them are still fighting for sporting equality.